Preparing everything from grilled cheese sandwiches to omelets with a griddle is a great way to make things quicker, but not every griddle is created the same. To really excel when using a griddle, you want to find something that has nonstick properties and can be heated up without hot spots. Hot spots can cause a lot of grief when you’re trying to cook a large batch of food, so the best griddles shouldn’t have any. Does this Farberware Nonstick 11-inch Square fit the bill of high-quality? That depends on what your specific needs are! Farberware is a well-known brand that creates a wide variety of different types of cookware. 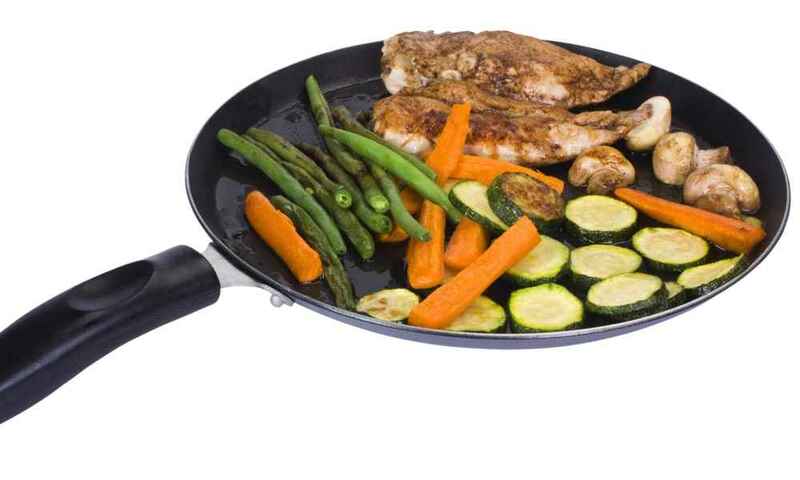 This nonstick pan is made from durable aluminum which is known for its color and even heating properties. This pan is also coated with Teflon Plus, a nonstick coating which helps prevent any frustrating messes that require clean up. 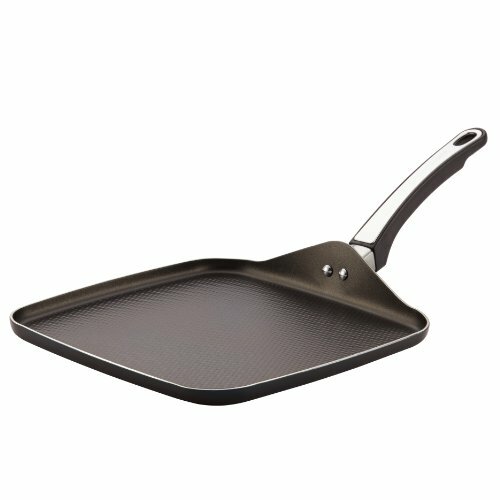 This product is great for anyone who wants to have the convenience of a griddle without having to fit an oversized pan in their cupboards. 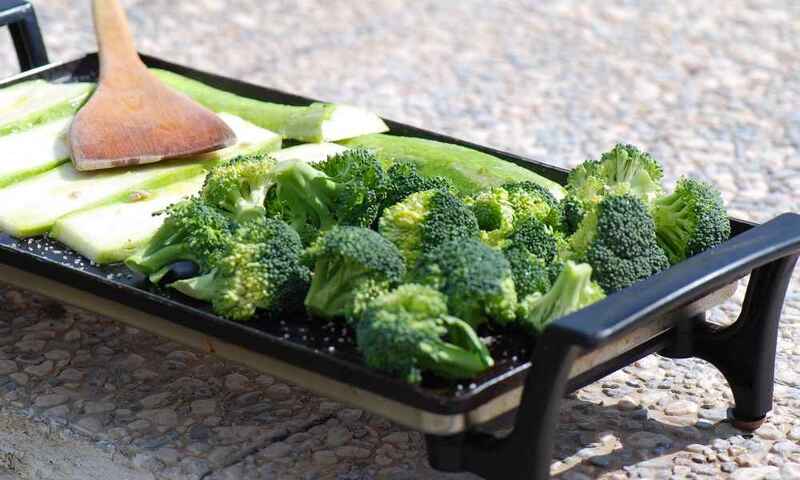 While this griddle has a great surface area, it isn’t so large that it cannot be easily stored. It’s also great for anyone who likes easy cleanup. This pan is not the best choice for anyone who wants to do stovetop-to-oven dishes, as it is only oven safe up to 350 degrees Fahrenheit. This 11-inch square shaped pan is coated with Teflon Plus and is made of durable aluminum, but it doesn’t come with any other extra accessories. This pan is made of high-quality aluminum. While it is constructed well and is very durable, it is also lightweight. When you are constantly moving things around in your kitchen to prepare dinner, having a lightweight pan can make things easier, so busy home chefs will love this pan. Additionally, this pan has a great nonstick coating known as Teflon Plus. This coating ensures that nothing will stick, and you can cook with or without oil. 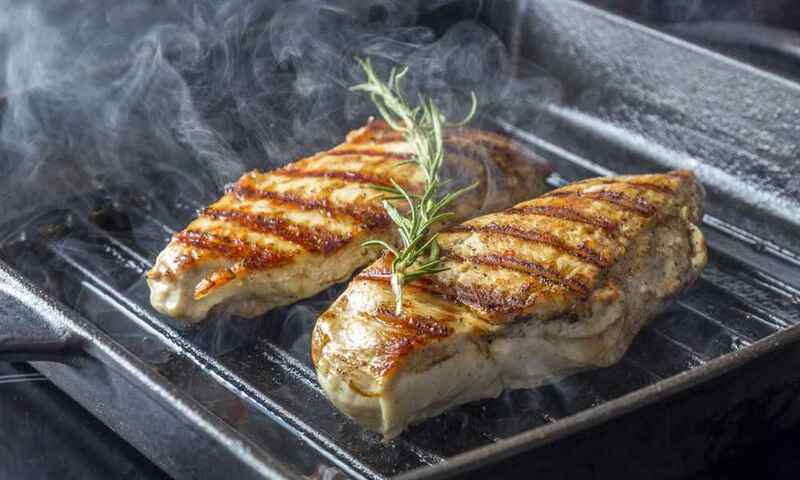 Of course, every food and meal is different so there will still be a learning curve, but even novice chefs are likely to find the nonstick feature useful. While the nonstick coating is great, it will wear out over time. With regular use, you might notice that things start to stick in certain areas or that the pan looks rundown. This is normal for aluminum coated pans. Hence, if you want a pan that will last for decades, you should look for a metal-made one. Since the center of this pan is slightly domed upwards, you may notice hot spots on the pan if you are cooking at high heats or for a long period of time. 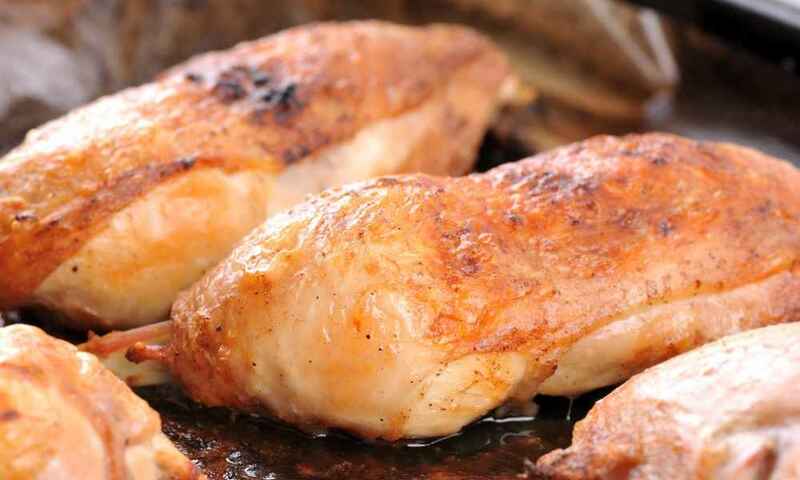 These hot spots can cause burning, and you will need to learn how to cook around them as it is nearly impossible to prevent. 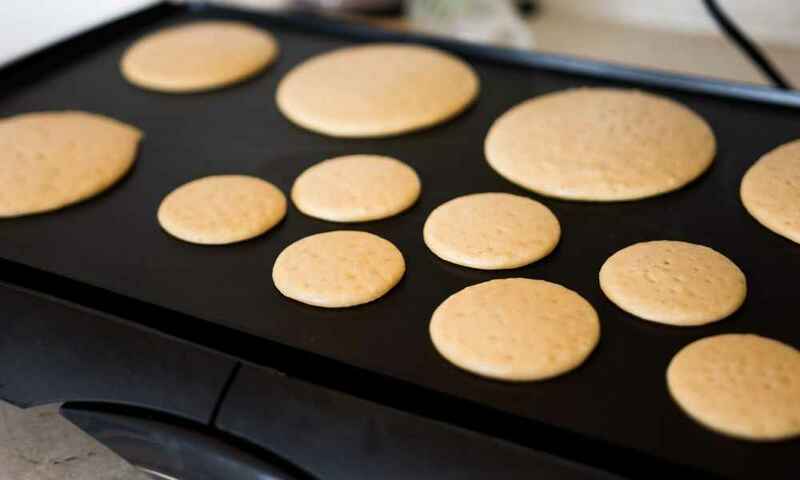 If you have never used a griddle like this before, you may be confused by the large size and low sides. How do you heat it up? Where should you put it on your burner? These might be questions that you have, but do not worry. Learning to use a griddle is relatively easy, and you’ll be making everything from bacon to burgers at home in no time. 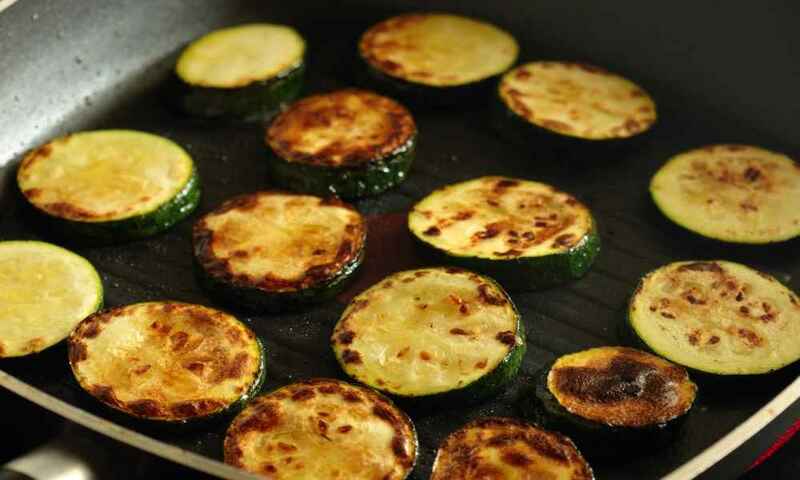 Once you master one recipe, you’ll start to see how you can use your griddle. Over time, you’ll get better and better at cooking with it! 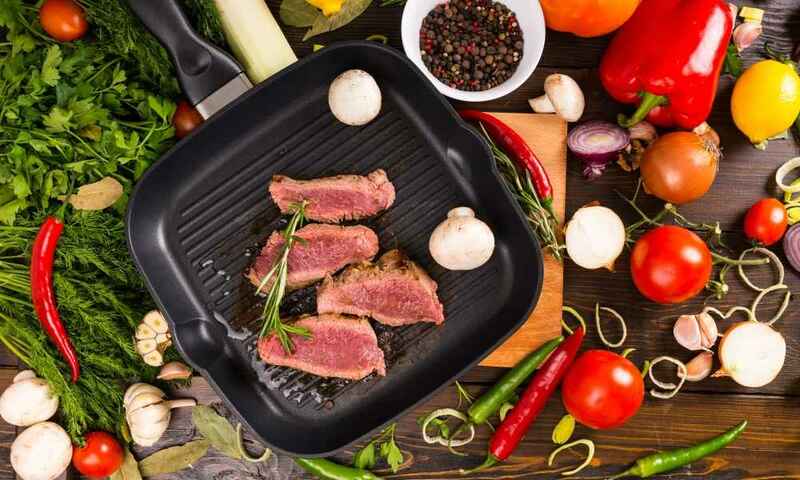 If you find the potential for hot spots to be frustrating and want to try a griddle that takes your cooking to the next level, you may find that a cast iron pan is more of what you are looking for. 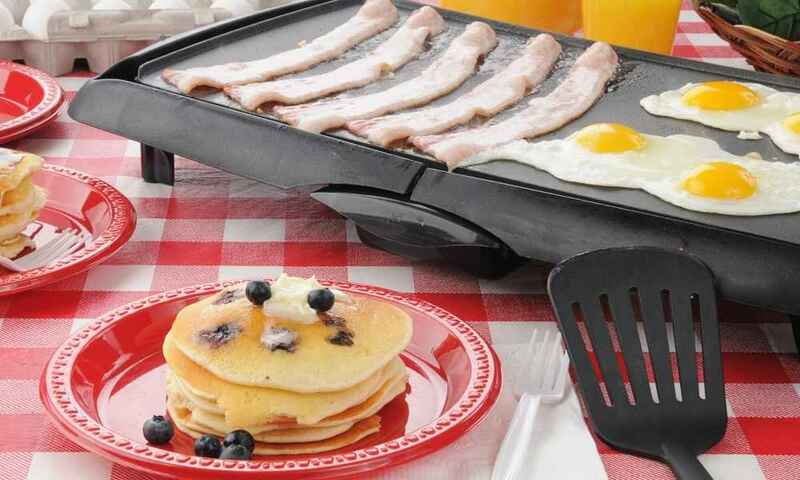 One great cast iron griddle that many people find success with is the Lodge LDP3 Reversible Grill/Griddle. Lodge is well known for their griddles, and this reversible cast iron stands out for its convenient size and durability. If you want to cook for a long time with one pan and don’t mind putting in the work to season it, this is a great choice. 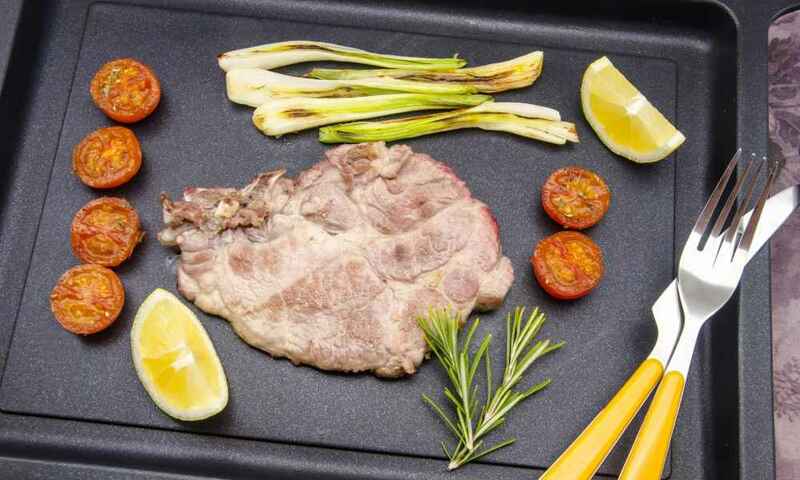 The Farberware Nonstick 11-inch Square Griddle is a commonly sized griddle made of relatively common materials, but it stands out for the great nonstick coating that you can’t find everywhere. Even if you burn something on this pan, you’ll find it easy to clean and have it back to its original condition in no time. That being said, this pan has a penchant for hot spots and burning things in specific areas that you may get tired of cooking around. If that’s the case, look for something like a cast iron griddle that is less likely to develop hot spots.